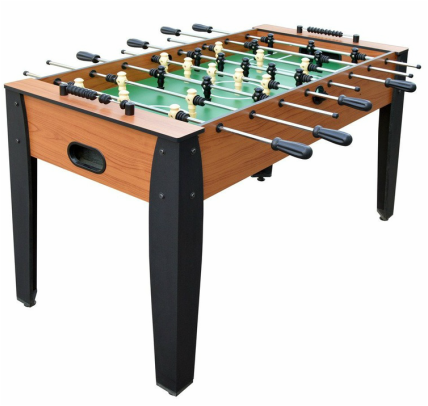 This is the middle of the road table that Hathaway manufacturers that offers a few nice features such as adjustable leg levelers, but ultimately is an entry level table designed for recreational use. 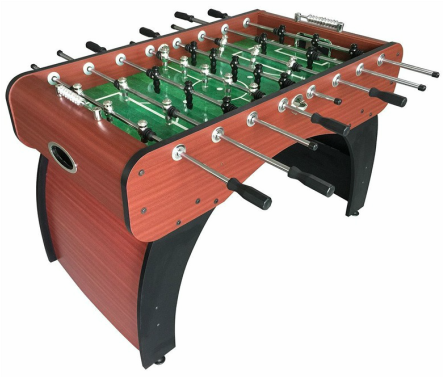 The soccer table also is equipped with flip-down drink holders on the outside of the table to prevent spills directly on the playing surface. 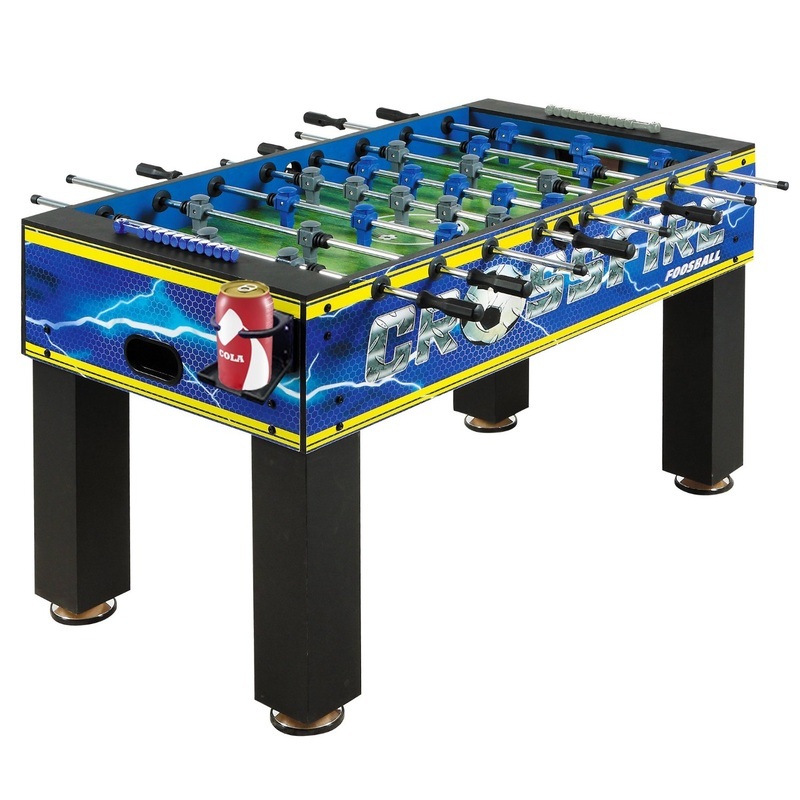 Another modern feature the table has is the 3 man goalie setup to keep the ball always in play. The high quality continues with the fine chrome-plated 1/2 inch steel rods and rubber handles to improve your grip. This table is priced at around $230 US.